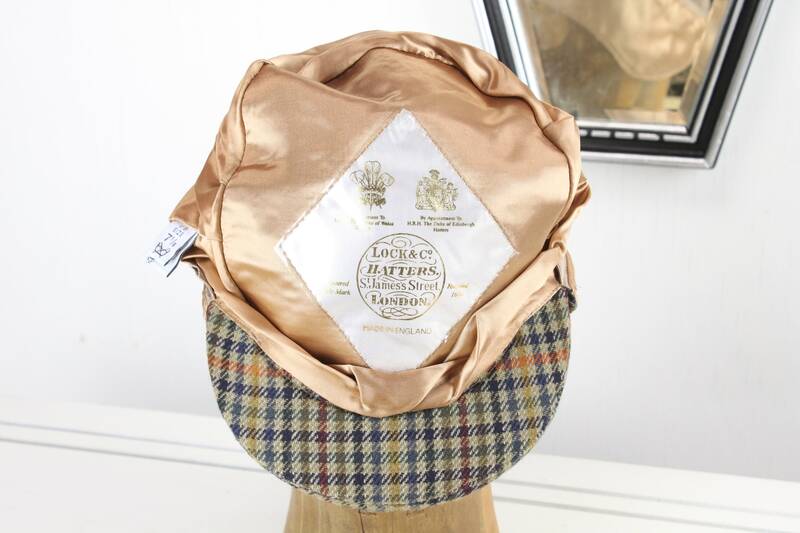 A classic sportsman's hat from one of England's oldest & most esteemable hatters! 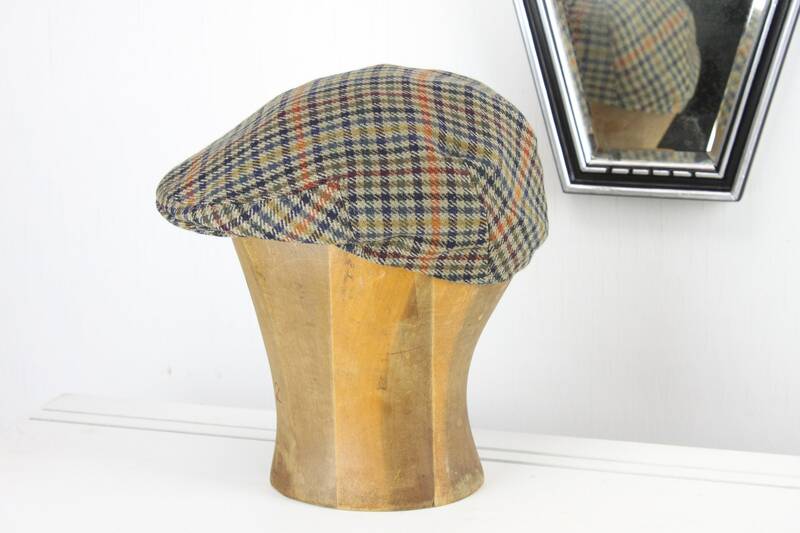 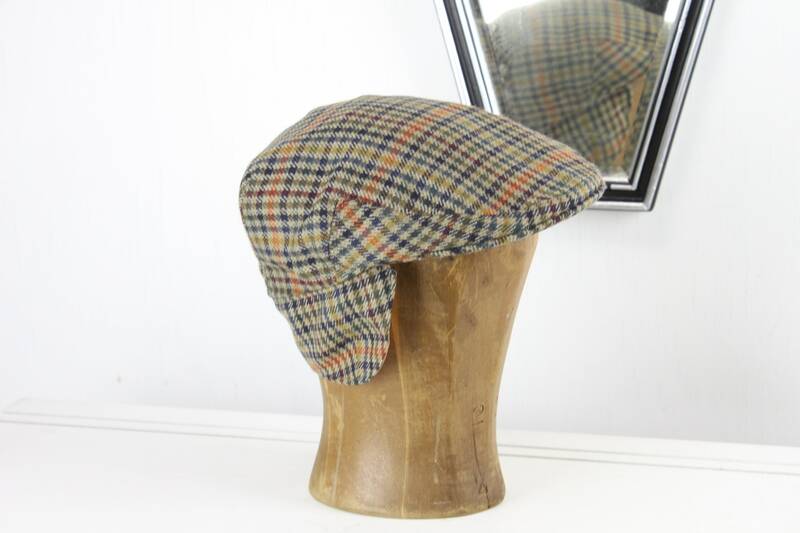 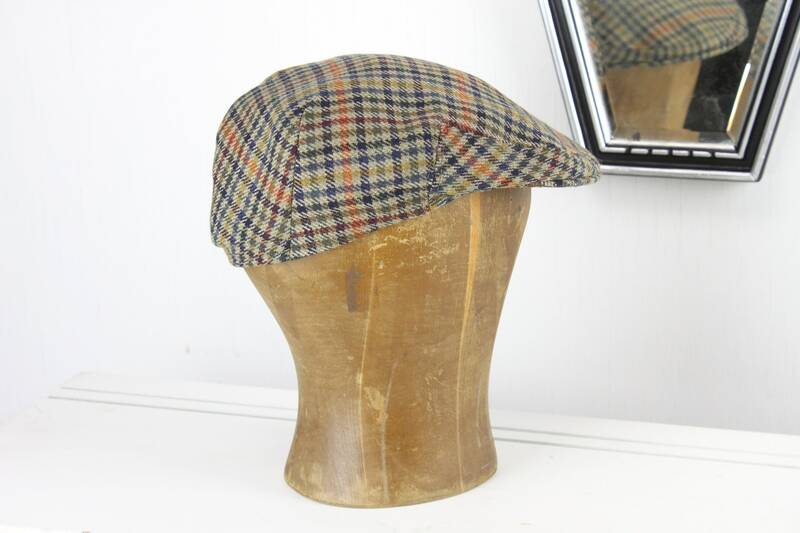 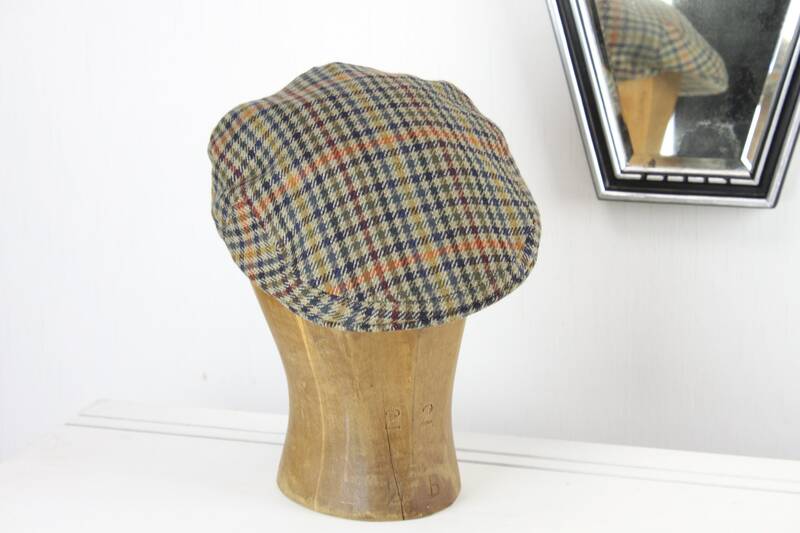 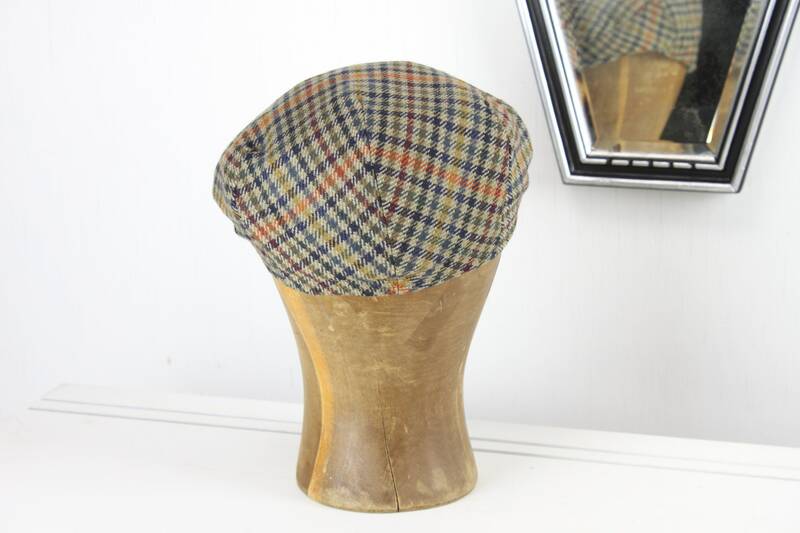 This flat cap is constructed from fine cashmere wool tweed woven in a classic glen plaid. 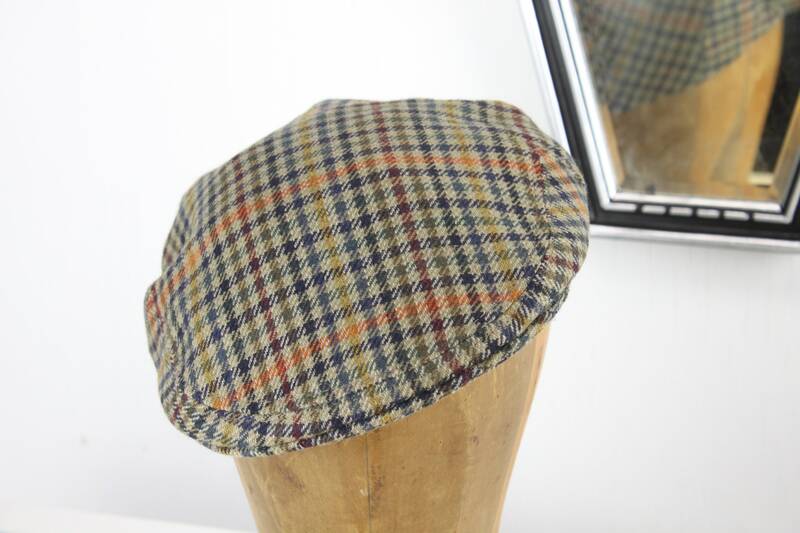 The fabric features interlaced bands of primary colors on a tan field. 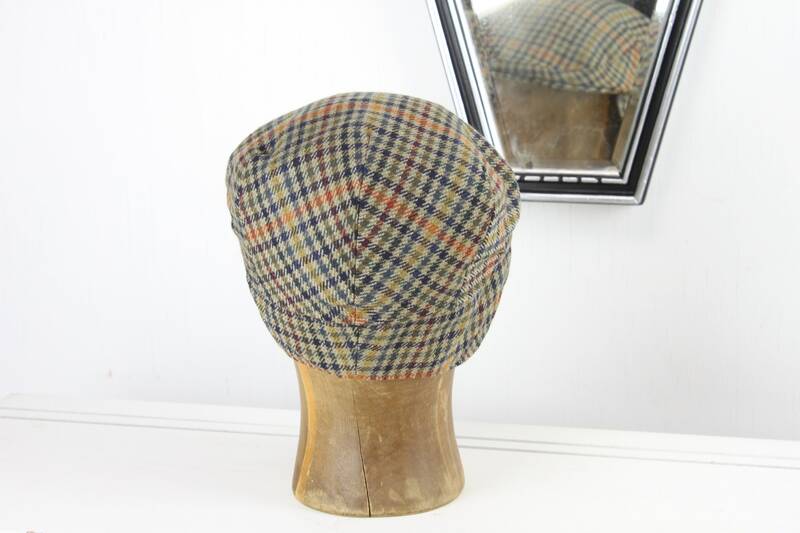 The interior of the hat features a full lining of salmon colored satin, The top of panel of the hat is also reinforced with a heavier interior layer of insulation. 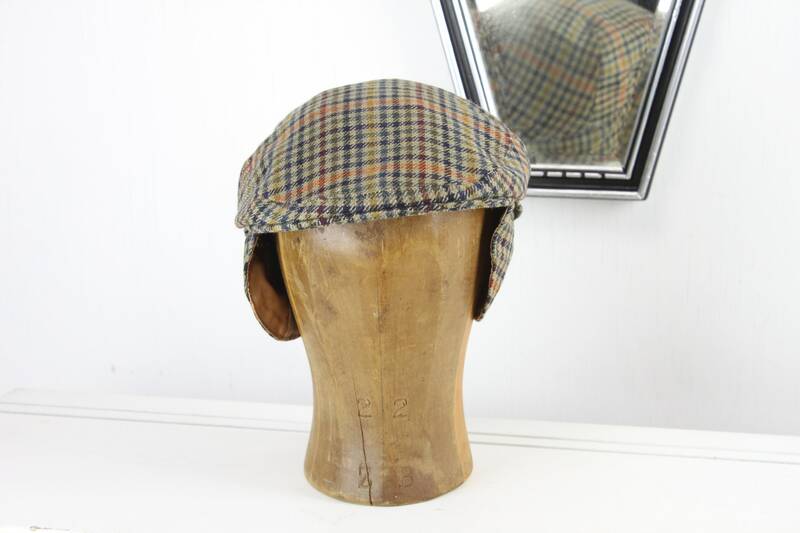 In addition this hat also features a fold-away ear and neck flap - which offers a wonderfully practical layer to this quality piece of millinery work! 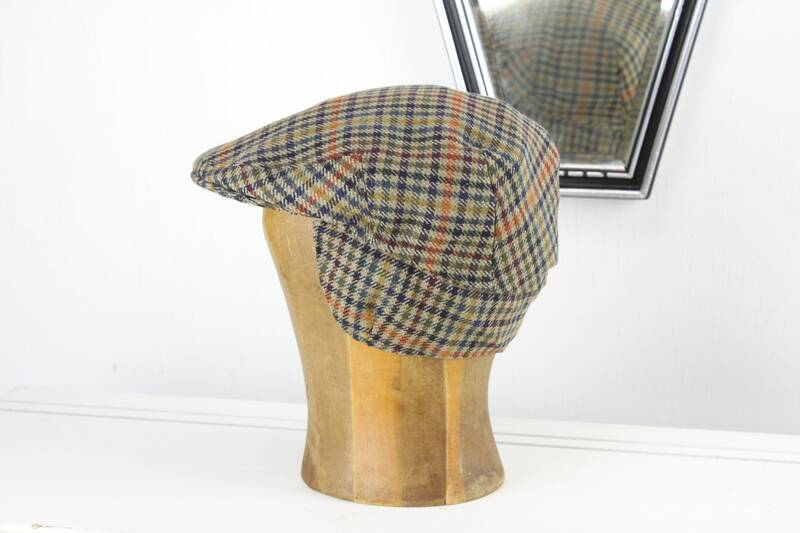 Staying warm was never so classy!